iSimangaliso Wetland Park, South Africa's very first World Heritage site since 1999 (Unesco), it is also the third largest protected area in South Africa. Situated in KwaZulu Natal, South Africa, this Wetland Park covers an incredible 332000 hectares. Its a place of wonder, miracles and wildlife. The largest Estuarine system in Africa (St Lucia Estuary) 526 bird species and the second highest vegetated sand dunes are just some f the incredible sightings that await you while in iSimangaliso Wetland Park. iSimangaliso Wetland Park covers 10 unique destinations namely, Kosi Bay, Coastal Forest, Lake Sibaya, Sodwana, Mkuze Game Reserve, False Bay, Western Shores & Charters Creek, Lake St Lucia, Eastern Shores & Cape Vidal and Mphelane. Its with out a doubt a wildlife paradise. Their are 5 predominant interlinked ecosystems found in the iSimangaliso Wetland Park. The species list of iSimangaliso Wetland Park are of the lengthiest in the region. Over 6500 plant and animal species including 521 bird species. The diversity of habitats (Aquatic, Coastal, Wetland and Terrestrial) supports an impressive array of animal species. Consisting of 13 separate but contiguous conservation units totalling 239 566 hectares and 85000 hectares of marine reserves. Conservation dates back to 1895 created by the Zululand government. Starting from Mphelane in the South to the border of Mozambique in the North. The Wetland Park offers a diverse array of Activities ranging from Horse Back Safaris to Bird Watching. Look out for the Turtle Spotting Tours from November to end February each year. Whale Watching from June to end November each year. Primarily known for its traditional Tsonga fishing traps, Kosi Bay offers impressive scenery and history. 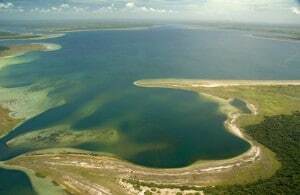 Kosi Bay Estuary is situated a mere 2km from the Mozambique border. Kosi Bay is interlinked by four lakes in Maputuland, KwaZulu Natal. This area is known as the top diving destination in South Africa. With numerous reefs and incredible selection of fish species it is no wonder. Situated in the northern section of iSimangaliso Wetland Park. A fisherman's paradise, with breath-taking views. Nestled in the vegetated sand dunes. Access from the N2 either from Mtubatuba or Richards Bay. Kayaking, snorkelling and fishing just some of the top treats in the area. Scuba Diving, Whale Watching and Fishing just some of the incredible Activities. This is a Big 4 Reserve with Buffalo, Rhino, Leopard and Elephant. The Western Shores Reserve is situated just outside of St Lucia Town prior to entering the village. An incredible and magnificent area to wonder and explore. Numerous loop roads make for some adventurous safari's. 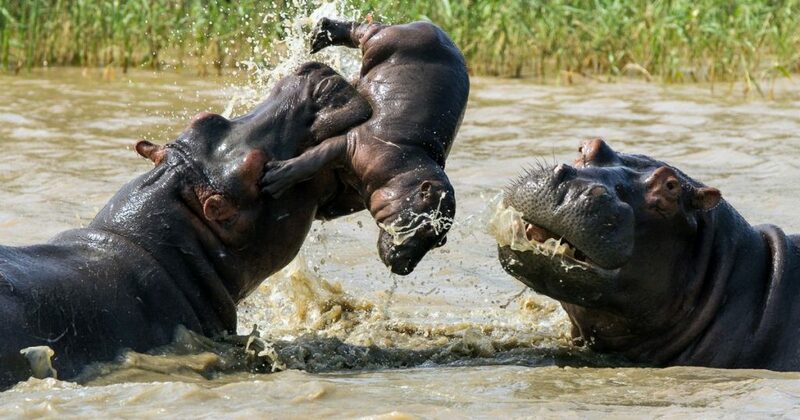 Home to more than 800 Hippo's, 1000 Nile Crocodiles and an abundance of Bird species. This area is accessed from the town of St Lucia. The ideal place to be memorised by the African Sunset. Please note that this area is only accessible by 4x4, areas include Mbibi, Island Rock, Rocktail Bay and Black Rock. Pristine and breath taking. Game Drives, Night Drive Safaris and more. 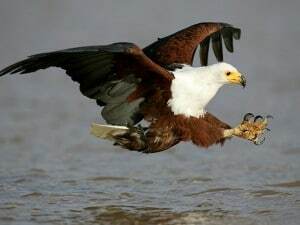 Hippo & Croc Boat Cruises, Birding, Nature Walks, Pristine Beaches and more. Accessed from the town of St Lucia, this impressive and incredible reserve is home to the African Big 3, Rhino, Buffalo and Leopard. 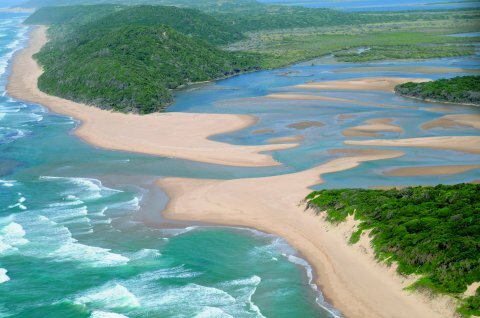 This is one of the very few reserves that offer both wildlife sightings and access to the pristine beaches of Zululand. Home to the second highest vegetated dunes. Home to South Africa's largest fresh water lake, and home to the second largest concentration of Hippo's in KwaZulu Natal. Explore by kayaking this diverse lake system and be memorised the absolute beauty that the area has to offer. Open Savannahs, thornveld and sand forest make up this marvellous area. This point is also the widest point of Lake St Lucia. Explore the Fossil interpretive centre. Snorkelling, Game Viewing, Turtle Tours, Fishing, Whale Watching and much more. Kayaking, Turtle Tours, Birding, Nature Walks, Guided Walks, and so much more in this area. The wilderness awaits for you to explore and discover. Fishing both land and lake fishing. Log Cabin style accommodation and camping is available in Cape Vidal. Makakatana Bay Lodge is situated within the Western Shores.Incredible venue with awesome views. Tented Camp Accommodation and more. Log Cabin style accommodation and camping is available in Sodwana. Wide variety of options are available in St Lucia. A mere 45 minute drive from St Lucia lies the oldest proclaimed game reserve in Africa. Is iSimangaliso Wetland Park Malaria free? How many vehicles can access Cape Vidal? Cape Vidal day visitors are limited to 120 vehicles per day. How do we access the park? This depends on the area in iSimangaliso that you wish to visit. Please make use of the map above so as to make sure that you know to which area you would like to visit. Utilize the above tabs for gates and times. We took day and night tours in the St. Lucia section and also in the Kosi Bay region. This World Heritage Site is not to be missed - so diverse in wildlife and habitat. Took a powerboat trip but wished we also had done some canoeing or kayaking. Beautiful indigenous forests, pans, dunes and swamps. And plus: we saw 12 different mammals including buffalos and 3 rhinos grazing next to the road as well as three different kind of eagles. I really didn't expect that! some nice viewpoints and loops on the way. Very good sanitary installations and explaining sign posts at stops, ample parking. Can get full on weekends though. Only 120 cars per day are allowed in, so hurry in the morning rather. Stunning beaches, e.g Cape Vidal. Loved the afternoon cruise with Heritage tours. Small boat wonderful guide highly recommend it. Saw 100 hippos and many birds. Fascinating place.